In this post you will find top open source software for IP address management (IPAM). If you are sysadmin at organization that holds pool of IP addresses and allocates its parts to clients then you must use IP address management tools to track used, reserved, allocated or free IP addresses. It usually prevents an overhead and allows to have clear picture of IP addresses resources usage within an organization on the whole. For example, it may be useful to know how many free IP networks are available for clients and take necessary actions before it happens there’s nothing to allocate. IP address management tools may also make it possible for you as a sysadmin to prevent fragmentation of IP addresses usage. Generally if you work at LIR then IP address management tool is a must. IPplan (formerly known as iptrack) provides clean web interface for IP address management with wide range of features like IPv6 support, multi-language interface, split and join of IP networks, import from routing tables and XML/CVS files, multiple user groups, overlapping detection, search, audit, triggers and much more. IPplan stores its data in databases like Postgresq, Mysql or Oracle. Moreover IPplan provides API so you can create DHCP configs (for example) based on IPplan’s database. Documentation and Howtos: Official Documentation, Install and configure IPplan in OpenSuse, Installing IPplan. GestioIP is lively maintained IPAM system available under GPLv3 license. It provides web interface for IPv4 and IPv6 tracking, allows network discovering, search, filtering, splitting/joining of IP networks, statistics, embedded IP calc and much more. I would recommend GestióIP to those who need clean and simple IPAM with basic features. Btw, Gestió in Catalan means “management”. Documentation and Howtos: Official Documentation. OpenIPAM is open source (GPLv3 license) IPAM software developed by Utah State University’s Department of Information Technology that comes with the following features: distributed management of IP resources by multiple users and groups, clean web interface, API, LDAP support, expiration system and more. OpenIPAM stores its data in PostgreSQL. Documents and Howtos: Official Documentation (wiki). NOC is Operation Support System (OSS) for ISP and content provides that comes with builtin powerful IPAM module. It provides support of IPv4 and IPv6, clean web interface, access delegation, DNS integration, search, reporting tools and a lot of other features. 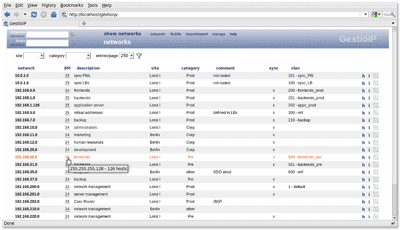 NOC was designed for and is used by large ISP and datacenters. It is very powerful open source software. 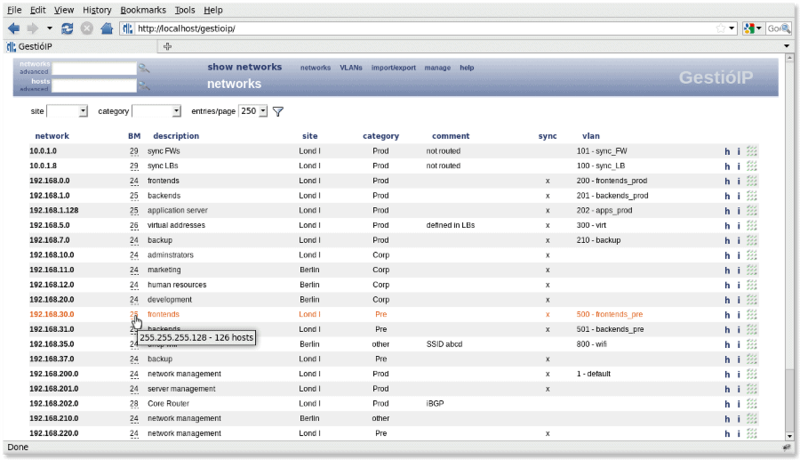 Documentation and Howtos: Official Documentation, NOC Blogs, NOC: Brief Introduction into IP Address Management (IPAM). Know some other open source IPAM software? Feel free to leave a comment with its name. Its really awesome article. These are all very important applications for admin. Thanks for this post and making me discover GestioIP. May be http://opennetadmin.com could be added to the list. Note also that solutions like RackSmith/RackMonkey/RackTables may also include this kind of features. Don't forget NIPAP - the best open source IPAM in the known universe! Artem is systems engineer for more than 7 years and holds broad experience in Linux, Unix, Cisco systems administration. Feel free to get in touch with Artem Nosulchik via Google Plus, Twitter or Facebook.